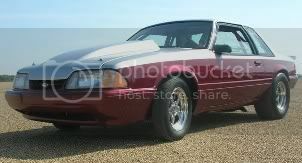 Looking for a fogger kit to start plumbing my edelbrock super Vic. Which fogger kit do u think is the best to get?? What horsepower level are you looking for? In my opinion, when you go above 300 hp you need to really do your homework (nozzle design, solenoid flow, etc). At or below 300 hp there are several to choose from. I would call several nitrous companies and get their input. Some companies sell several different name brands. Hope this helps. Last edited by Untamed; 07-11-2015 at 07:03 PM. I run a NOS Pro Race fogger and a Speed Tech plate on my BBF. I haven't sprayed the plate yet. I did have a NOS Big Shot plate and I didn't like the distribution of that plate system. But that's a different topic. However, I bought these systems years ago. Lots of new stuff out there now. I would look at Induction Solutions. They are top dog in the X275 ranks. I called and spoke to Steve. He was busy but gave me his personal cell phone number so that we could talk later about getting me a proper set up. He answered when I called him back. Very professional and informative. He made a very good impression. What did you decide to go with? With plate technology today, you can spray as much through a plate as you do with a fogger. Nitrous Outlet has nice stuff. FWIW I now have the Nitrous Outlet Stinger 3 plate on my car, but have not used it. Haven't raced at all in 2017 really. I'm going to start at 300 and go up. This late is being used in the top plate limited classes. Stephen Barnett dominated Ultra Street with it.